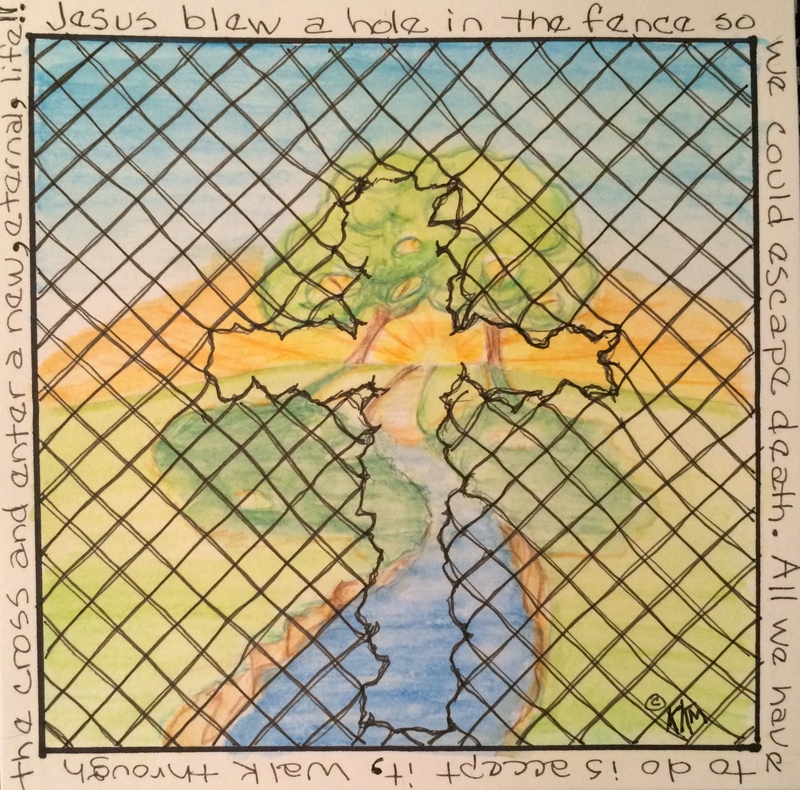 As I think about what I wrote and doodled in light of what I read this morning it reminds me that we have a life sentence on this earth–a huge fence between us and eternity. We can try to climb over it (work our way to eternity), get on the ground and try to crawl under with our humble repentance and penance but it’s not till we accept and enter through Christ’s work that we will ever have eternal life. Jesus + The Cross = our only way of escape. Everything was accomplished at the cross–IT IS FINISHED!